During this summer, I was invited to participate in an initiative of some trainers to manage "Coding Gym": a gym to write algorithms and the related code. I liked it immediately and I decided to collaborate in organizing it: it is called Coding Gym and the first step has been to organize, together with them, the first meeting here in Turin. 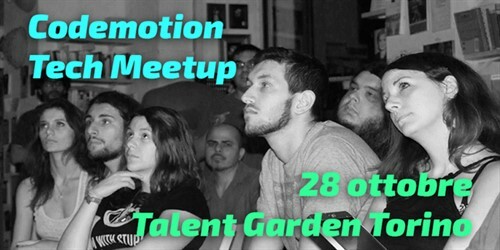 Codemotion Tech Meetup will be in Turin free of charge, as usual! Tech Meetup is an aperitif with two sessions to attend, "open mic" to give voice to local ads and finally networking time accompanied by pizza and beer!